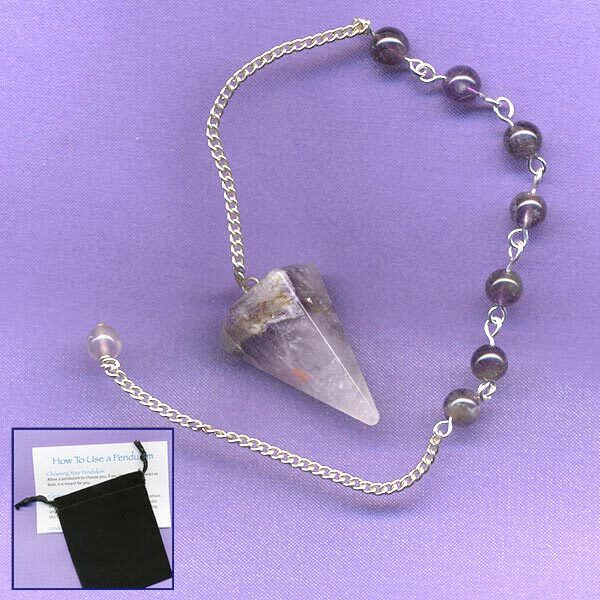 Faceted healing Amethyst gemstone pendulum. 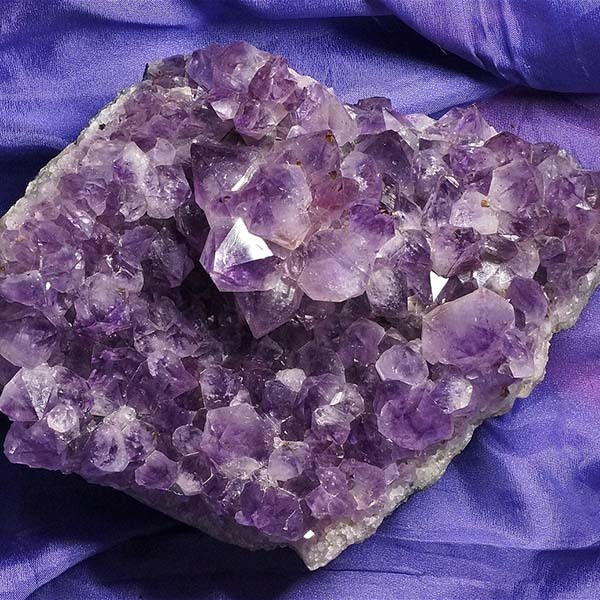 Size: 3/4" in diameter, 1-1/2" tall and has 9" silvertone chain with matching Amethyst links and end bead. Overall length is 10-3/8".